The P.E.I. harness racing industry has lost “a very good friend.” Brian Andrew died this week at the age of 70. The P.E.I. harness racing industry has lost "a very good friend." 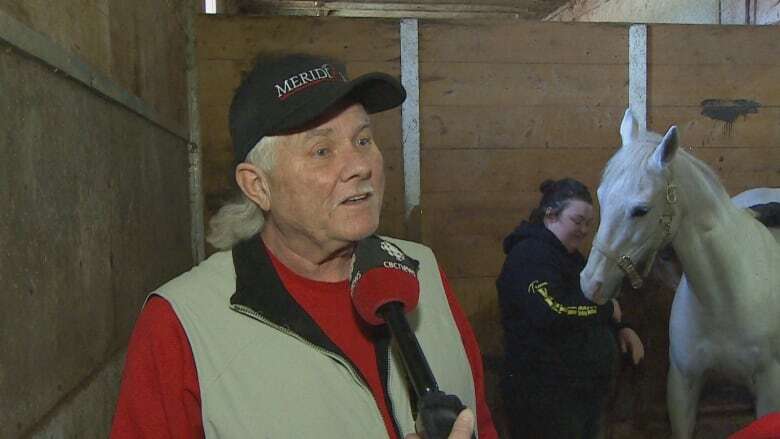 Brian Andrew, the owner of Meridian Farms in Milton, P.E.I., died Wednesday after a brief illness. "You'd hardly go anywhere in racing circles that you wouldn't run across him," said Wayne Pike, executive director of the P.E.I. Harness Racing Industry Association. "He was a very good friend to the harness racing industry, a very good friend to the province in trying to develop a better strategy for harness racing." Andrew, a third-generation horseman, was dedicated to training, driving and breeding Standardbred horses, says his obituary. After he retired as a school principal in 2005, he focused his attention on developing Meridian Farms, which became one of the top breeding and racing operations in eastern Canada. "He was a very kind person, did what he could to help other people get along," Pike said. "He always looked at the industry as a whole." Andrew is survived by his wife Carol, son Blake and daughter Rachel. Visitation will take place at Belvedere Funeral Home on Monday from 2-4 p.m. and 6-9 p.m.